When you think of the word allowance, what comes to mind? Many of us were given an allowance when we were younger for keeping our rooms cleaned and helping out, but nowadays it’s hard to know what chores your child should do and how much you should pay them. Should you just give them a flat amount — five dollars, ten, or more? Should you give them a list with each item given a dollar value? An allowance is a great way to teach your children about handling money. Let’s face it when a child sees a toy at the store they have to have it, or in their words, “I need it.” But the reality is they don’t need it, they want it. By having an allowance you can teach your child the importance of saving for something they want versus asking for everything they see. One of the benefits of giving an allowance is teaching your child how to manage money. One of the first steps after giving an allowance is having your child set aside a portion for savings and giving. You can have them set aside 10% to savings and 10% to tithing. This step allows your child to learn the importance of savings and giving. It also teaches them impulse control because they know not all their weekly allowance can be spent immediately. In addition, teaching money management comes from giving your child freedom to make their own decisions. If they want a new toy then they will have to save for it. You can help them create a chart to see their progress while they’re saving, but it will teach them self-control. 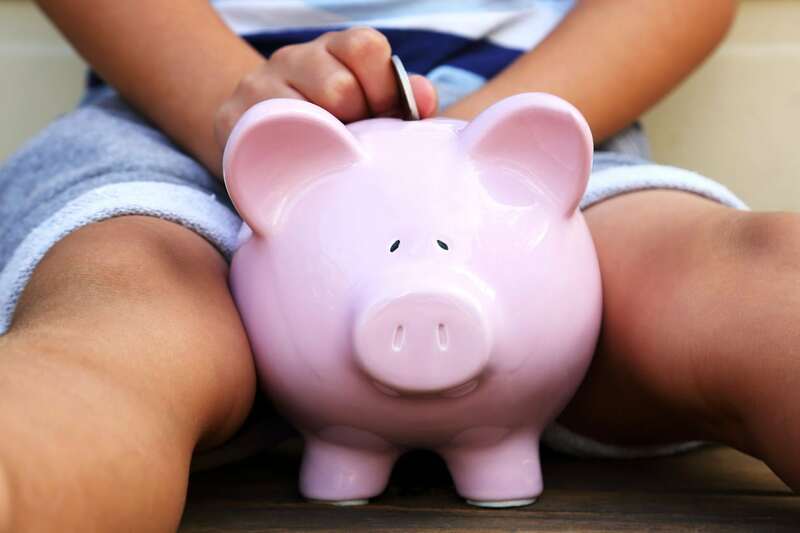 Knowing how old your child should be when starting an allowance is up to you; however, a good age to consider an allowance would be age five or kindergarten-age. When your child is about this age, they can start learning how to manage money and how to earn money. A good lesson before starting an allowance is teaching the basics of money — how many quarters in a dollar? How many dimes in a dollar? A baseline to determine the amount is your child’s age. When starting at five or six years old, there isn’t a need for much money — maybe $5 a week or less is a good starting point. When your child gets older and starts having more activities with friends, like going to the movies, going bowling, etc. then perhaps their allowance should be more — maybe $15 or so. The first option is having a list of foundational jobs. These chores are not assigned a dollar value and your child is not paid for doing them. They simply do these jobs because they are part of the family. They need to learn how to contribute to keeping the house up without any financial reward. These foundational jobs can be your baseline. Once these are done, then your child can do other jobs that are above-and-beyond to earn an allowance. Some great foundational jobs include: make your bed everyday, rinse and put your dishes in the sink, help fold laundry, etc. This system is great for teaching your child the importance of helping out around the house before having a chance to earn money. This system can help your child feel empowered because it’s a great feeling to know you helped mom and dad out all week without being rewarded for it. Another option to determine an allowance is to set a dollar value for every job. Your child can do as much or as little as they would like to earn money. There are no baseline chores, everything has a dollar amount and every job is a possibility to earn money. For instance, you give your child $0.10 for making their bed everyday and at the end of the week they missed two days. Now your child has earned only $0.50 that week for that chore. This method is a great way to teach them the value of each job and how skipping one or two days could really hurt the total amount they receive. A lot of parents feel you shouldn’t have your child do any chores and an allowance should just be given. If that’s the case, that’s fine! If you feel you should still give an allowance then you just have to decide how much to give. This method is a great way to teach your child the value of hard work. They are expected to contribute and do tasks around the house without getting rewarded for them. It also shows them how to save for something they want because they’re going to earn the same amount each week. If your child wants to earn a little more or wants to buy something extra then they could be allowed to ask for harder, more complicated jobs and negotiate a price. This will teach them to think outside the box and not be afraid to ask for more work so they can reach their goals. The final option is to not give any allowance. You might feel your children should not be rewarded or paid for helping since they are part of the family. If your child wants something or needs something, then they ask you for it. You weigh the pros and cons then make your decision. This idea falls back to being a part of the family and everyone should pitch in. This system teaches the value of hard work and being part of a team. Whatever you decide will be great! You really cannot go wrong. If you find the system doesn’t work for your family — then change it!